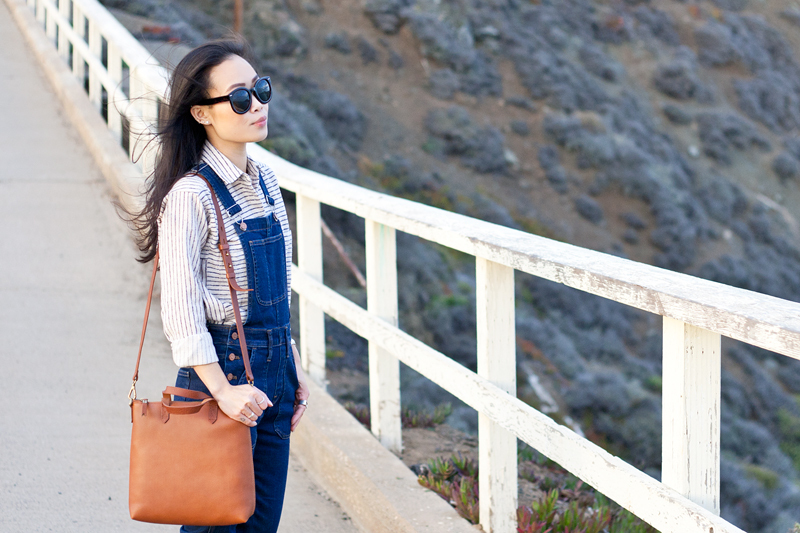 Denim is always a good idea but a pair of overalls makes it a hundred times better. 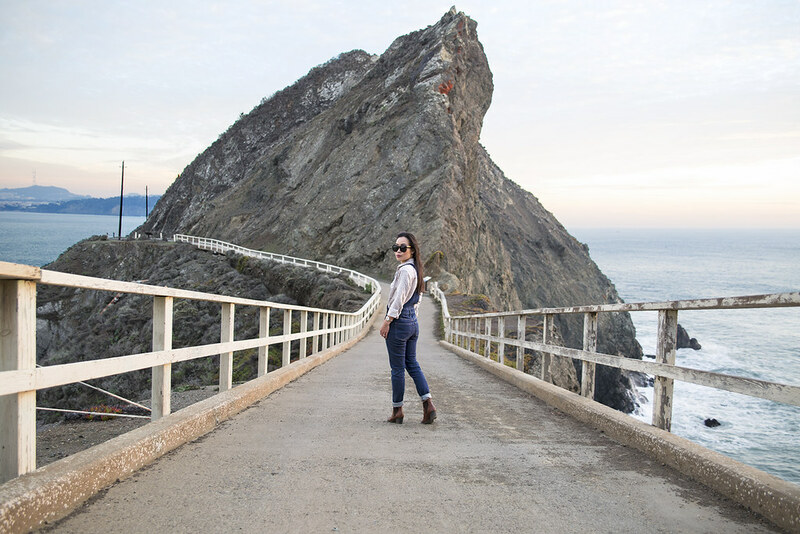 Part of my job as a full-time in-house stylist requires my team and I to shoot on location two to three times a month and occasionally we would travel to some gorgeous places... like last week's Marin Headlands. 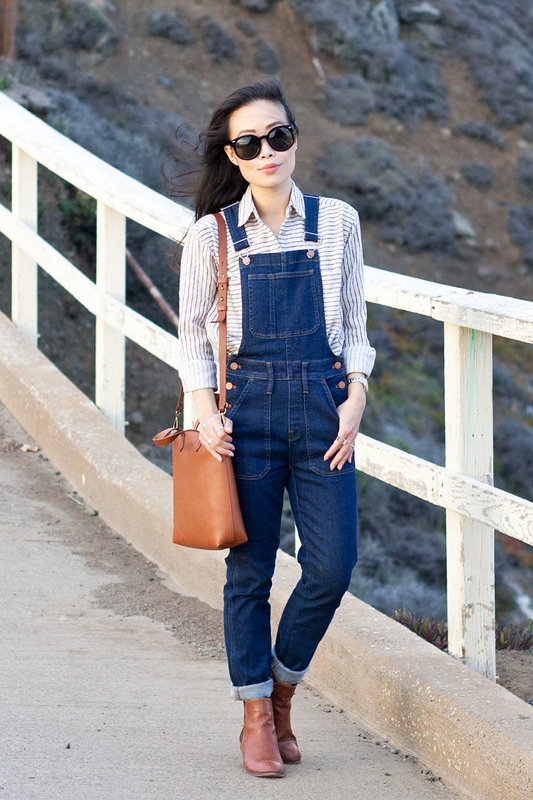 I couldn't think of a better outfit than a cozy flannel and overalls to roam around in! To tell you the truth, I have been on the hunt for a pair of overalls for a couple of years now. I have stumbled upon many pairs but none of them fit right... too long, too baggy, etc. 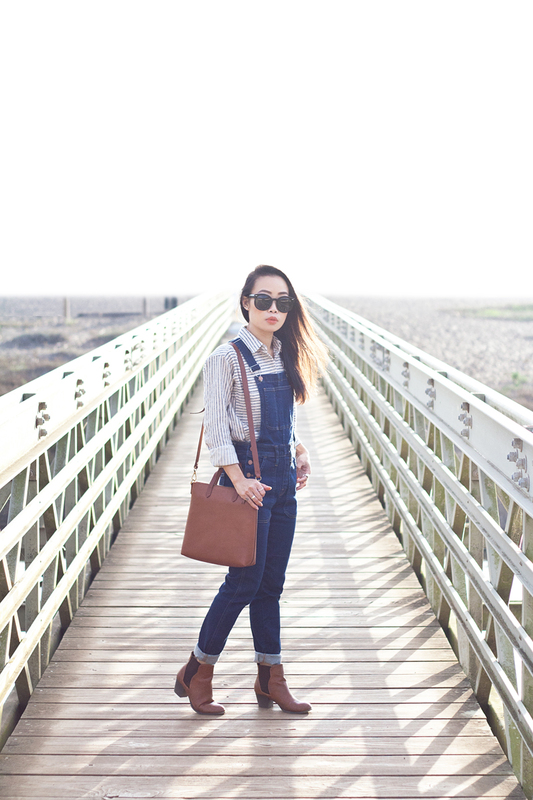 When I headed into Madewell to pick out some pieces for our collab, I knew I had to try on their overalls and I am so happy that I did because they are amazing! 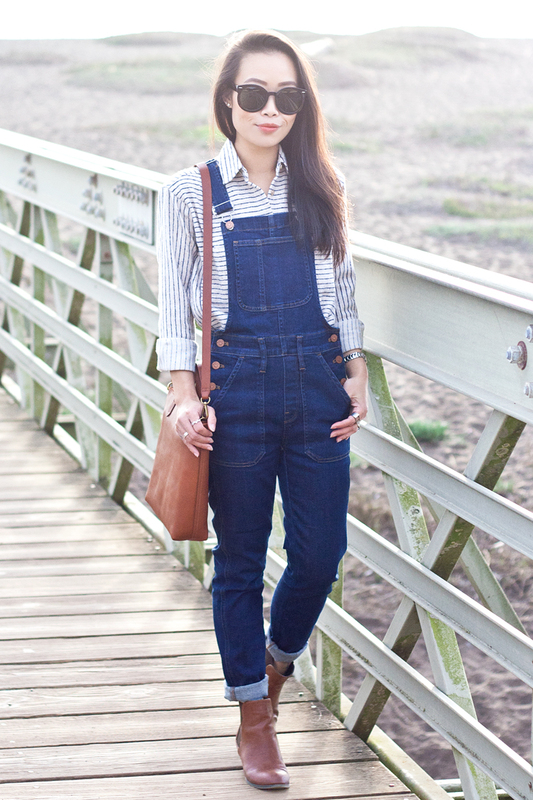 I also adore this super cozy striped flannel that I am pairing with the overalls! 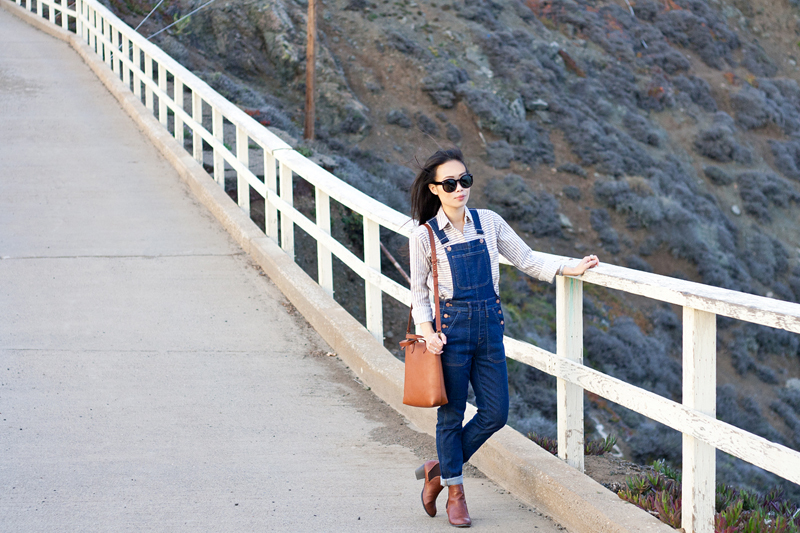 Are you into overalls or are you over it? 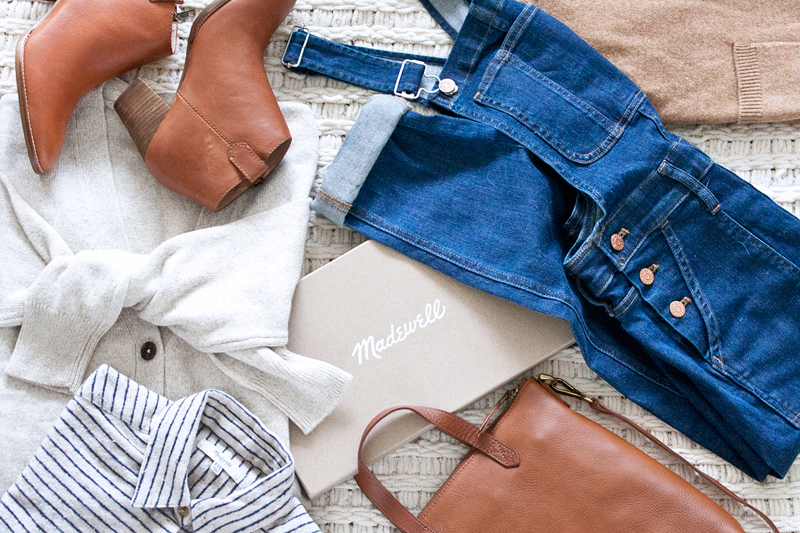 Come celebrate Madewell's 100th store opening at Broadway Plaza in Walnut Creek with me this Wednesday 12/9! I'll be there from 7-9pm. Enjoy sips, snacks, tunes, and a complimentary Bien Fait Tote with purchase. 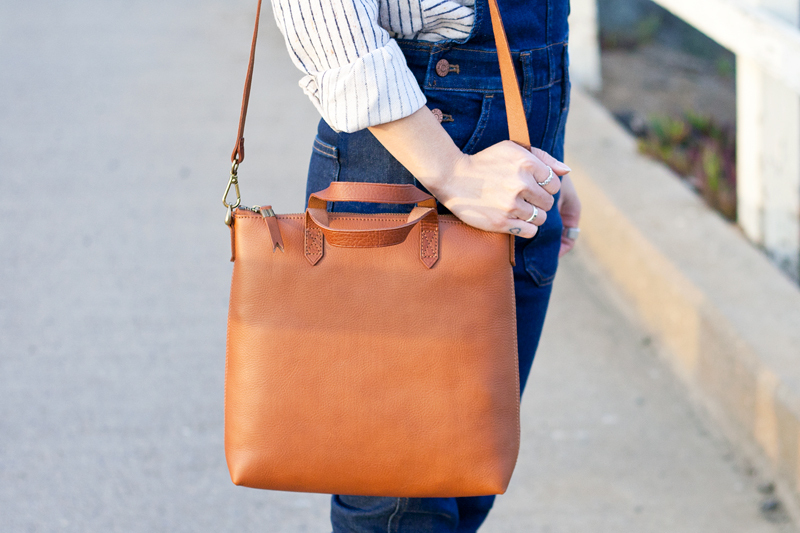 Skinny overalls in Judd wash c/o Madewell. Flannel Sunday shirt in stripe c/o Madewell. Long cardigan sweater c/o Madewell. Cashmere side-slit pocket sweater c/o Madewell. 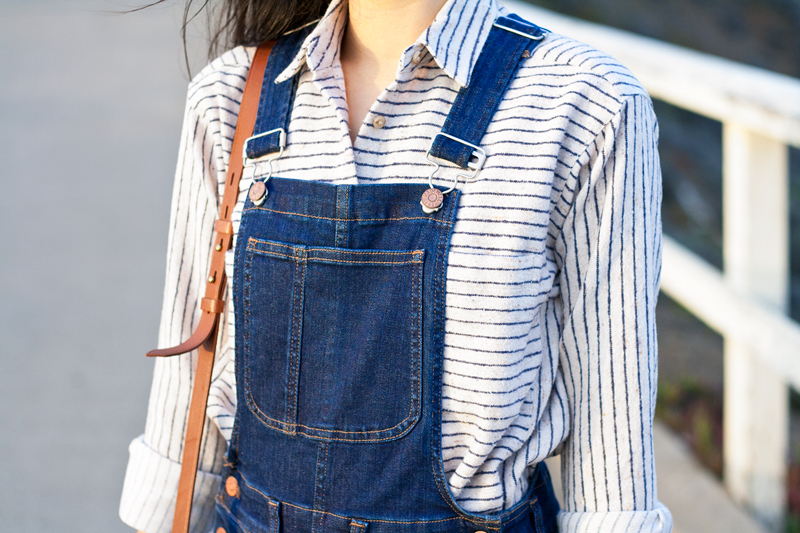 I love those overalls they are so cute, The stripes are perfect under it!! Those overalls look so comfy! And the boots really add to the rustic vibe. What a cute find!